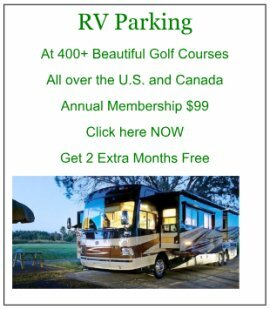 RV Water Filters should be a concern of any RV'er! Many of us just add whatever water we find and drive away! 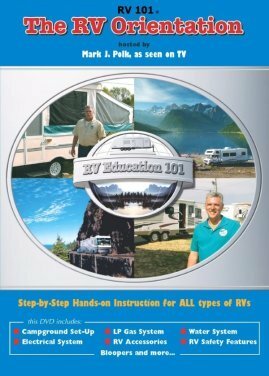 It seems like most people use at least a "sediment" filter before they fill their RV tanks. These are important but all they really do is keep sediment out of your tanks! The "quality" of your water is so much more important! Unless you've done a ton of research, most of us purchase some sort of aftermarket water filtration system for our drinking water and "assume" that's enough! That's pretty much what we did! We had been using a cartridge type under our kitchen sink for cold drinking water. It seemed to work well, but clogged up pretty easily and was expensive. 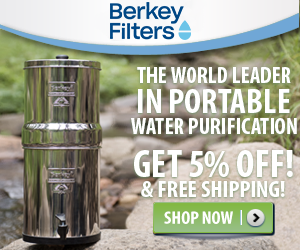 After lots of "hindsight" researching, we stumbled across a system we had never seen before - Berkey Water Purification Systems - a great water purifier. We were actually in a health food store and they were displaying it and sampling the water. Wow - what a difference! The Berkey System filters are designed to remove Bacteria, Viruses, Arsenic, Chlorine, Mercury and Lead - All to below detectable levels!! How awesome is that!?!? Even better, it leaves behind the beneficial minerals our bodies need every day. Without a doubt is is incredibly fast while filtering. We had another "similar" type and it took forever and the filters clogged quite easily. All of these traits help make the Berkey System the 1st choice in emergencies and disasters. It is made up of two containers. Just pour or use your faucet to fill the upper chamber. It will have 2 purification filters in the upper section - standard. Gravity does the rest of the work for you. If you are concerned about fluoride removal, you can add 2 of those filters (Extra cost) in the lower section. 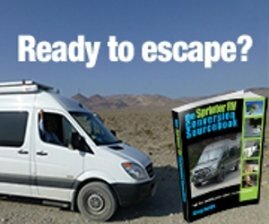 We did - you just never know what is coming out of a spigot in some remote location!?! We have ours sitting on our counter, behind our sink and faucet. We used some foam from packaging to keep it from moving into the corner. Then, we added 2 straps to be sure it doesn't fall over on a hard stop. Now, whenever we get water while boondocking, we fill several large jugs directly from the sink (while filling our main tank). Then we just fill our Berkey system from the jugs and then the sink faucet as needed. We also try to get in the habit of filling the top tank before going to bed so we have plenty of fresh great tasting and safe water for coffee and drinking in the am! It's so nice to have cold water coming out of the kitchen sink at full pump pressure! 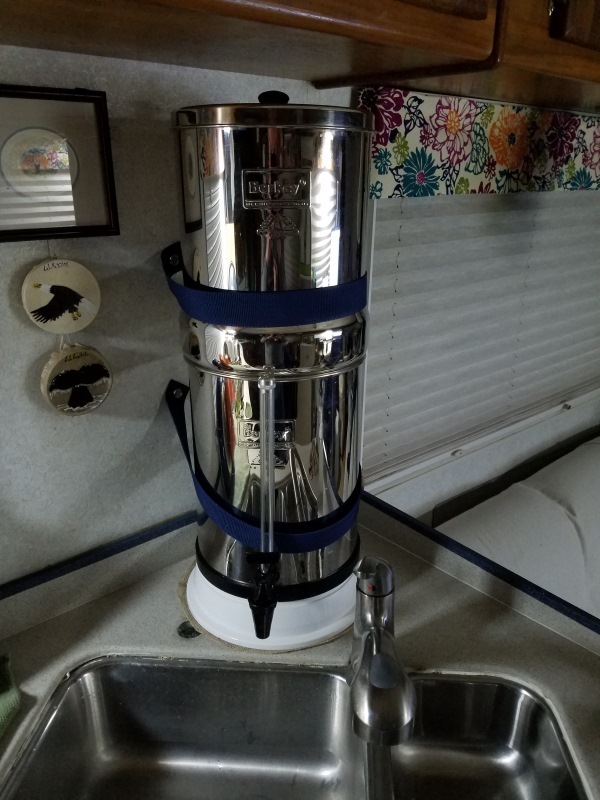 We just fill our Berkey whenever we need to - very simple, gravity feed with no moving parts or electricity (reverse osmosis) needed - a perfect RV Water Filters solution for today's fulltimer!